Apple on Tuesday has officially released iOS 11.4, the latest update to its mobile operating system. It’s a relatively minor update compared to the previous release, which was packed with new additions. But iOS 11.4 sports some long-awaited features like AirPlay 2 and Messages in iCloud. The new AirPlay 2 standard introduces multi-room audio playback support. Users can now play music in any individual room, or in multiple rooms simultaneously. Multi-room audio also works on a wide variety of third-party speaker devices. Siri has also been given multi-room audio support in iOS 11.4. Users can now ask the digital assistant to play music or other audio in individual rooms. Of course, AirPlay 2 also gives an update to Apple’s own HomePod speaker. 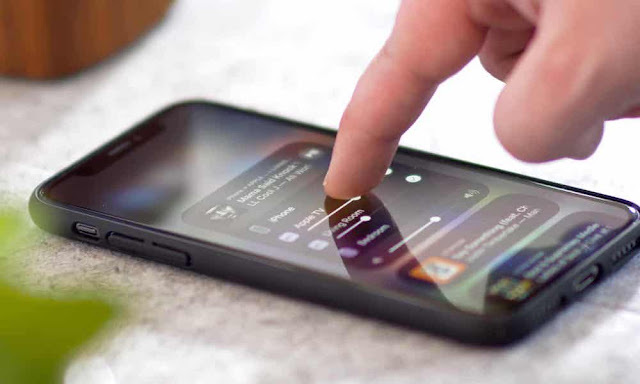 iOS 11.4 adds stereo support, allowing users to use pairs of HomePod devices for multi-channel audio playback. That’s been a promised feature since HomePod debuted, and it’s finally here with the newest software update. In a press release, Apple said that AirPlay 2 also implements some important under-the-hood performance improvements, too. Phone calls and video audio will no longer interrupt music playback. There are additional features that combat de-synced audio and network artifact interruptions as well. iOS 11.4 also adds Messages in iCloud, which has gone through several rounds of beta testing. If the feature is enabled, iMessages will be stored in the cloud. That has a range of benefits beyond saving some space on a device. For one, it means much more reliable and smooth message syncing across a user’s ecosystem of devices. You can start a text thread on one device and continue it seamlessly on another. When setting up a new device, a user’s iMessage threads will be added automatically. If a user deletes a message on one device, that message will be wiped from all devices instantly. As usual, iOS 11.4 also introduces some important security patches, bug fixes, and under-the-hood improvements. In addition, it includes special (PRODUCT)RED wallpapers for iPhone 8 and iPhone 8 Plus devices. As of the writing of this article, iOS 11.4 should be available as a free over-the-air update to all users running iOS 11. You can find it under Settings > General > Software Update.